Description: A City of Atlanta Percentage for the Arts Commission, this project intends to engage the casual visitor to the plaza while providing an interactive space for memorial services and public ceremonies. 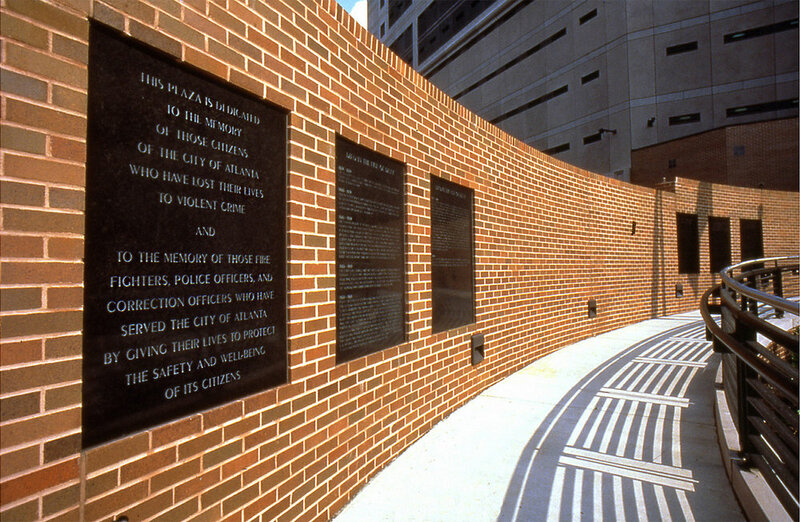 The installation includes a circular ceremonial space of flame cut granite tile banded with bronze and six granite panels engraved with text and set in the plaza brick wall edging the entrance ramp to the building. The paving pattern of the ceremonial space forms a labyrinthine path, saw cut and ground to create contrast in the surface. Sandblasted along the path are names of human relationships including: neighbor, friend, brother, and sister. 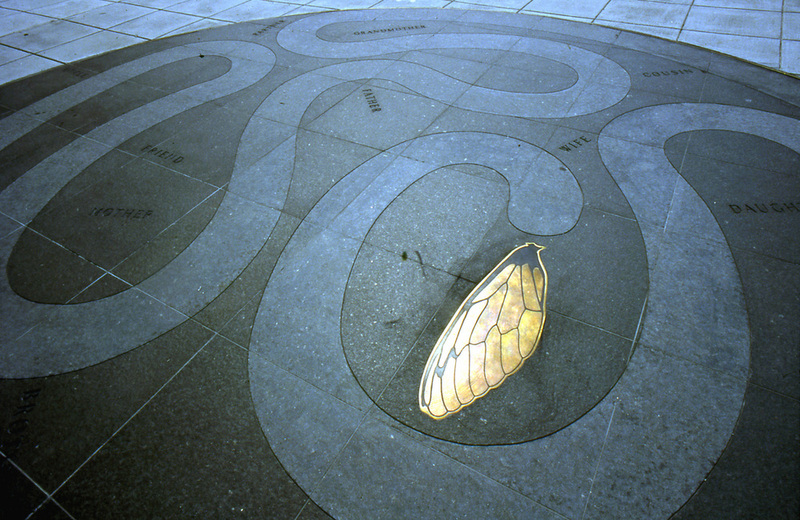 An inlaid bronze wing marks the internal point of return on the path. The six granite panels installed in the plaza wall are sandblasted with text. The first three carry the plaza dedication and names of public safety officers who have died in the line of duty. The second group of panels include commentary from interviews with family members of crime victims and public safety officers. These speak, to loss, the need for community, and vision for the future. The memorial provides a context for acknowledging community as well as individual loss when someone is killed.